An elegant foam latex weapon inspired by the traditional Chinese blade that long ago defended the Ancient Empire of China, the Jian Long LARP Sword is a beautiful and trustworthy weapon to wield at your next live action roleplay event. 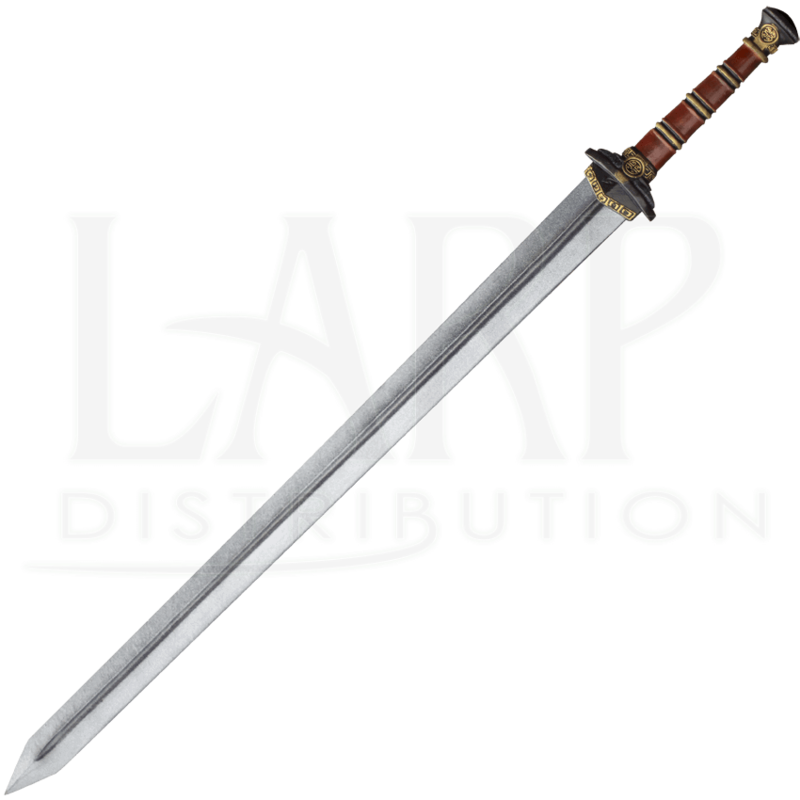 This LARP weapon features a shred resistant, closed cell foam blade with a fiberglass core at its center and a coating of strong latex. The hilt is a thing of beauty. Its polyurethane foam cast construction allows this portion to display ornate detailing, hand painted in rich hues of red, black, and gold. 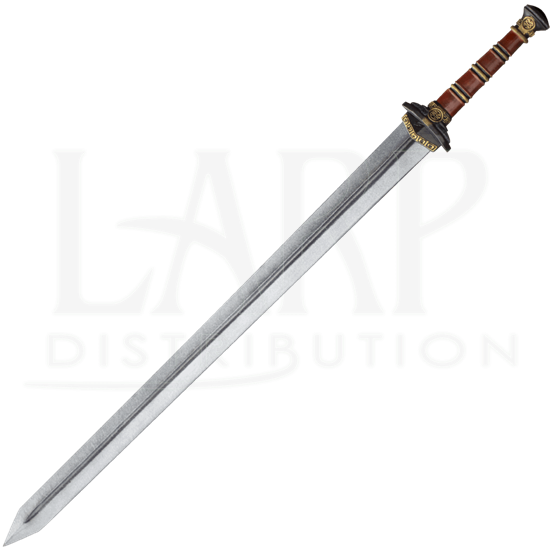 Due to this hand crafting, the LARP weapon may feature slight, natural variations in its appearance. The cross guard and hilt are short, contributing to this LARP weapons sleek look.